The campaign saw 80 employees and 78 community volunteers formed an impressive human chain on the Western Express Highway, near Mahindra's Kandivali plant. 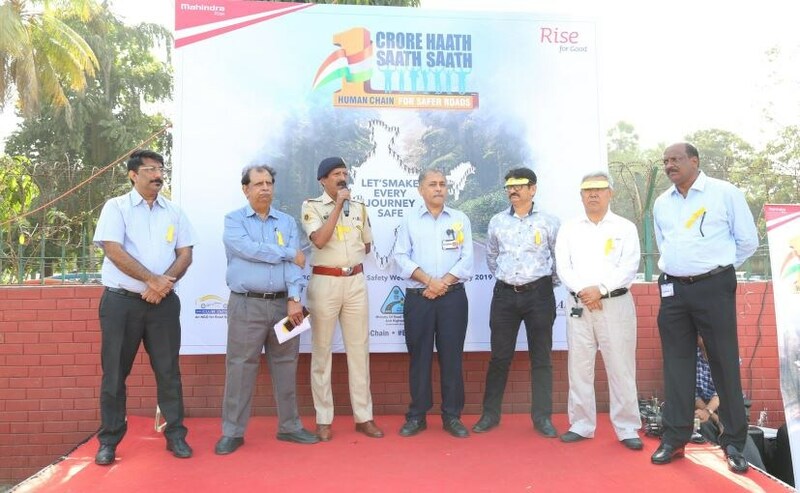 Indian utility vehicle manufacturer Mahindra and Mahindra today announced its participation in a new road safety campaign - '1 Crore Haath Saath Saath'. The road safety campaign was organised by the Society of Indian Automobile Manufacturers (SIAM), the Ministry of Road Transport & Highways (MoRTH), in partnership with the NGO Drive Smart Drive Safe (D2S). 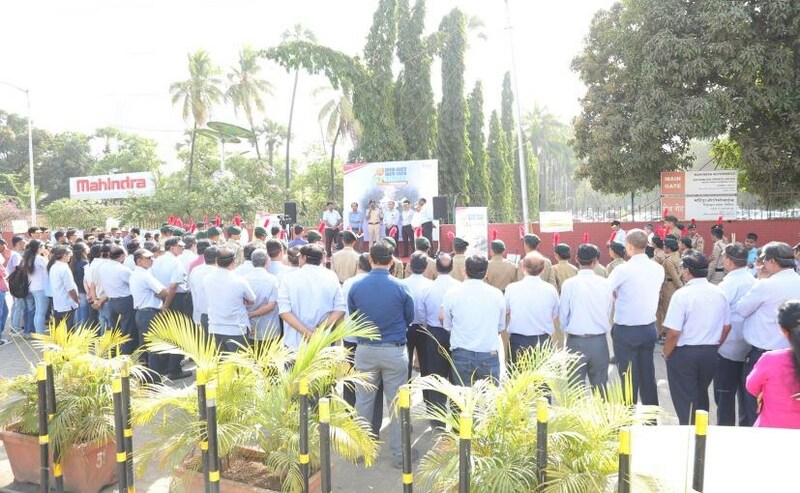 The flag-off event of the campaign saw 80 employees and 78 community volunteers formed an impressive human chain on the Western Express Highway, near its Kandivali plant, to educate drivers and pledge their commitment toward safe driving. Talking about the new initiative, Vijay Kalra, CEO - Mahindra Vehicle Manufacturers Ltd. & Chief - Manufacturing Operations at Automotive Sector, M&M said, "Road safety is a major cause for concern across our country and awareness needs to be constantly reinforced. The '1 Crore Haath Saath Saath' campaign is a unique platform to support and pledge our commitment toward road safety. We at Mahindra, have always been involved in raising awareness about safe driving practices and adhering to traffic rules, both within the organization and among our stakeholders. Such initiatives only stir the need for a lifelong commitment to become more disciplined and responsible drivers." This nationwide campaign was flagged-off early this month on February 4, at Derabassi in Punjab, and with this campaign, the organisers aim to engage 50 lakh individuals in an act of solidarity, joining 1 crore hands during the Road Safety Week 2019 commemorated across 100 cities. As part of the campaign, the organisers also plan to start a reward-based "Drive Safe" Clubs in Organizations, Schools, Colleges, Universities, Corporates, Start-ups, RWA's, and Institutions. The club will work on a Mobile-Based AI app that will reward the users for good driving behaviour.